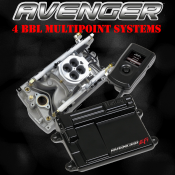 Holley Avenger Fuel Injection Systems are simply the most easy and complete EFI systems available at any price. 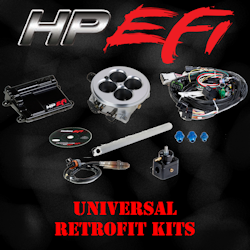 Holley has done all of the engineering on these kits so you don't have to. 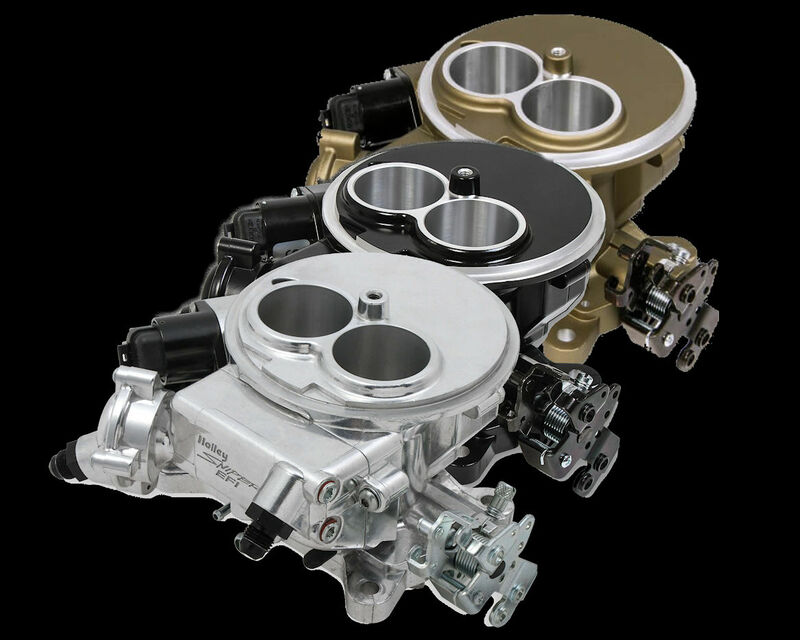 They have the right ECU, the right wiring harnesses, the right throttle bodies. They even have the right injectors, fuel pump, regulator, and filter. How can it get any easier? Installation is straightforward. But the best part is the configuration. Using a handheld a bit larger than a key fob, you answer a few basic questions, depress the throttle twice, cycle power, and start the engine. The system self-learns from that point forward! Avenger--EFI just doesn't get much easier than this! Stealth Ram Multi-Point Injection for small-block Chevrolet. 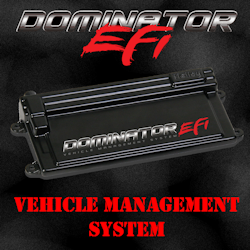 Holley Avenger EFI Fuel Injection Systems answer the question, "Does fuel injection have to be complicated?" with a resounding, "NO!" Let's face it, if computers are as smart as everyone claims they are, they why don't we make the computer do the thinking? That's exactly what the Avenger Fuel Injection Systems do. I mean, let's face it. Fuel injection is simply putting fuel into an engine in the right amounts and at the right time. If you can tell the computer the size of the engine, give it an idea of the camshaft that you're using, and send it a signal for the timing, it should be able to figure the rest out. 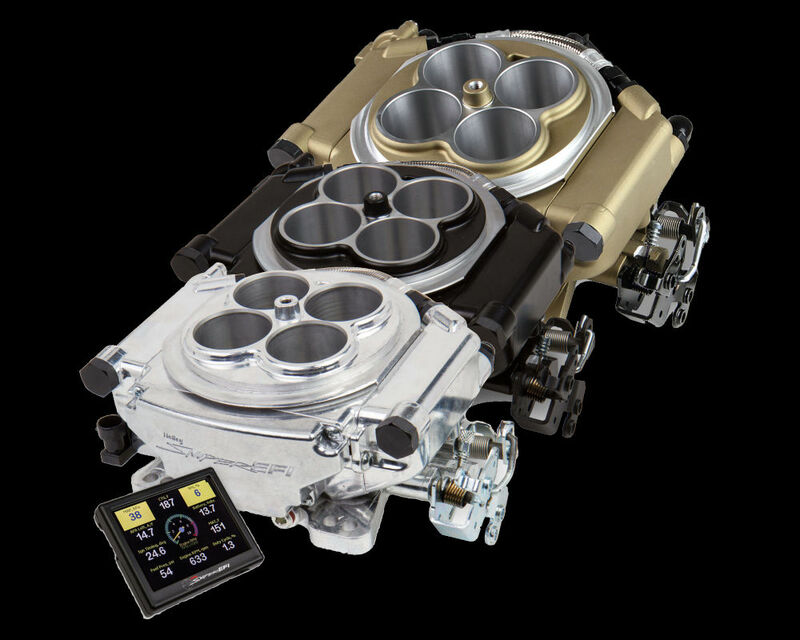 That last sentence is a pretty decent overview of the amount of setup required by the Holley Avenger ECU. No laptop to juggle, no software to install. Just a simple, convenient handheld controller with an easy-to-read display. It asks you the questions in plain English, and you answer them. They're even multiple choice, so there's no guessing. Once you do the setup, you start the car and drive it. Within minutes of initial start-up, the Avenger ECU learns to adapt itself to your car's specific fuel requirements, keeping a perfect air/fuel ratio balance. No cumbersome and expensive trip to the dyno required! If you have a distributor the Avenger Fuel Injection System can use that for both ignition timing and distribution, just like with a carburetor. If not, or if you want to expand the range of your control, you direct the Avenger can also provide computer-controlled ignition timing. 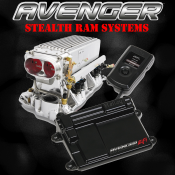 And don't worry what happens if you outgrow the capabilities of the Avenger ECU and need more programmability. 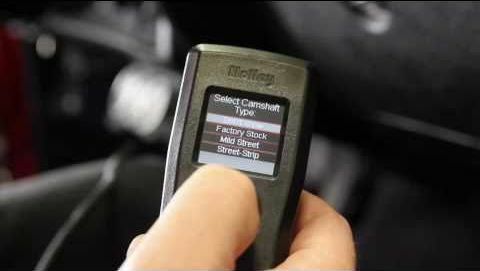 If that time comes, upgrading to the Holley HP ECU is simple. 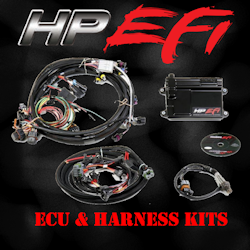 The harness and all existing sensors and injectors can be used and plugged right into the HP ECU. 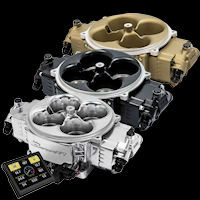 Now, it would be pretty silly for Holley to make an easy-to-use ECU and then dump a whole lot of requirements on the customer to source parts that aren't included, so don't worry about that either. 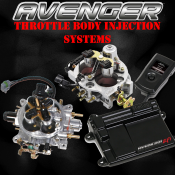 Every Holley Avenger Fuel Injection Kit includes virtually every part you will need for the installation. They pick the right injectors for your engine size and output. 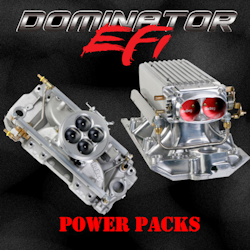 They include the right fuel pump and fuel pressure regulator for the injectors. Fuel filters? Sensors? Installation Hardware? Yes, that's all in there too. Holley does let you pick up your own fuel hose or fuel line so that they're not shipping you too much or too little. Get exactly what you need at any auto parts store. 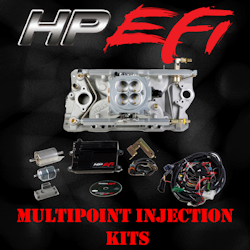 So, if you've decided that the Holley HP Fuel Injection System is the right one for you, the only thing left to decide is which Fuel Injection Kit you should pick. 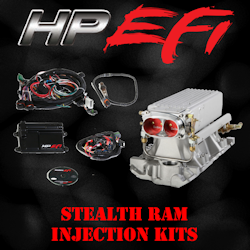 Holley makes the following fuel injection kits: 2-BBL and 4-BBL TBI, Multi-Point, and Stealth Ram. A complete list of all Avenger Fuel Injection Kits is located at the bottom of this page.